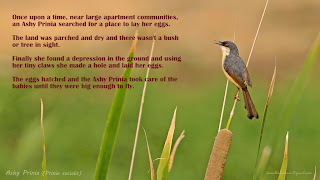 Once upon a time, near large apartment communities, an Ashy Prinia searched for a place to lay her eggs. The land was parched and dry and there wasn't a bush or tree in sight. Finally she found a depression in the ground and using her tiny claws she made a hole and laid her eggs. 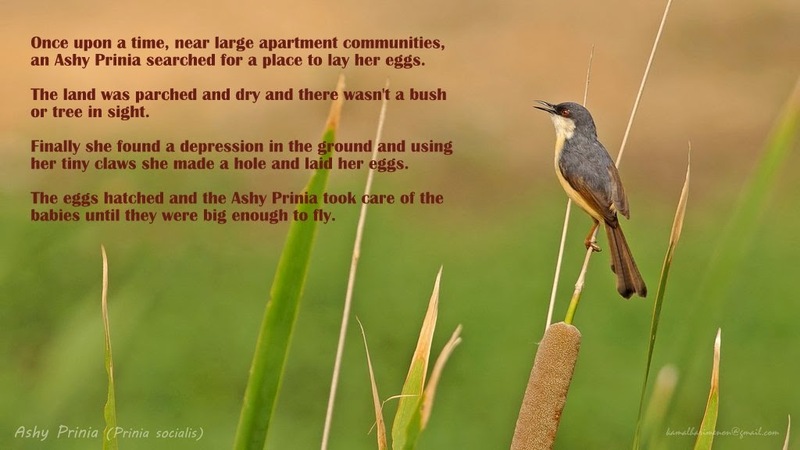 The eggs hatched and the Ashy Prinia took care of the babies until they were big enough to fly. "Is that it?" you will enquire. and many more, are yet to come." PNLIT invites all the young ones and their families to a story telling session. Why: Because it's a story of our neigbourhood lake, by our neigbourhood residents and for our neigbourhood children! 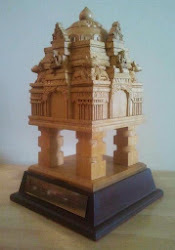 Entry contribution: Rs. 50/- per child between the ages of 3 and 15 years. Free for others. 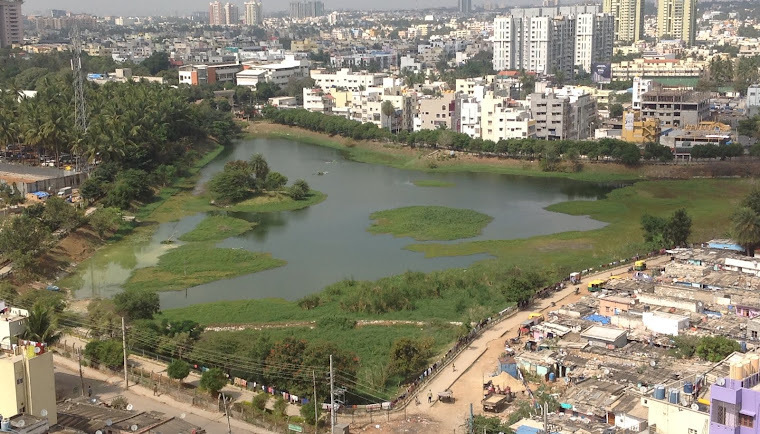 Contributions will be accepted on the spot on 18th Jan 2014 @10:30 a.m. and will go towards hosting, the artists and PNLIT. Our aim is to foster a community feeling in the neighbourhood by conducting events such as this. Your support and participation is eagerly awaited.